This means you would order a wheel and then send yours back with a separate deposit. That is what the extra $80 is for. We understand there are times that people need to schedule an appointment for install so from ship date we give up to 3 weeks for customer to get installed and send back their stock wheel or they forfeit their deposit. In this service you do agree that all wheels sent back are year specific. If you ordered an 07-08 type-s, we will not accept an 04-06 wheel back. Mind you the 04-06 wheel will not fit on the 07-08 without a different bag, etc. The deposit will be kept if this happens. This means you have a spare wheel, going to be ordering a wheel or sending in your wheel to be worked on to avoid the deposit. We will contact you after payment within 24-48 hours to arrange for our address so you can send in your wheel. If you are buying a spare wheel, we can also send you our address to send it directly to so that you don't have to pay for double shipping. All wheels custom made take on average 8-10 weeks eta. All wheels are unskinned factory leather / etc and remolded to your liking. Just to be clear we will contact you after you buy, also feel free to leave us your contact email / phone number in the notes section upon check out. OPTION 1 - Add Flat Bottom. 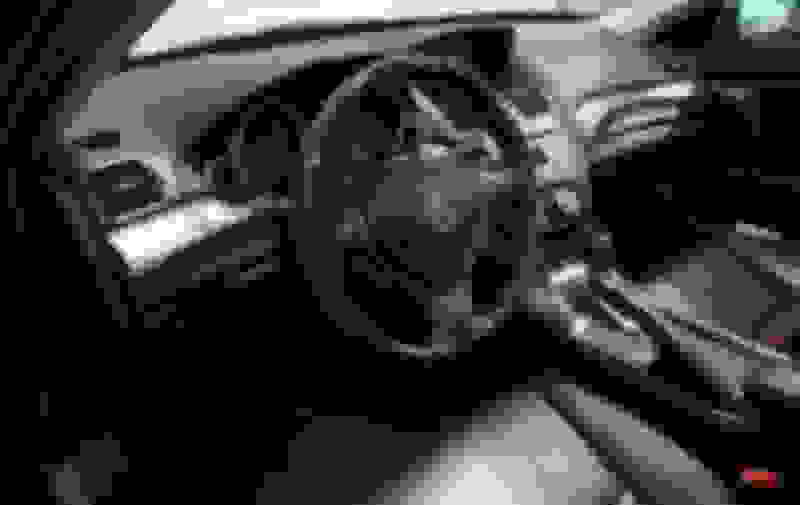 This simply means what it says, this option allows the skin mold to appear as if your steering wheel has a flat bottom. OPTION 2 - Add Alacantra. This changes the left and right side of your steering wheel to suede. Please note, suede there is no warranty because sweat, dirt, etc can ruin this and we are not liable, responsible or to be blamed for this. This is defiantly a cool option and we are in no way telling you that it wont last, but it does have to be taken care of.. Here are two 4th gens. Also, ready to ship! 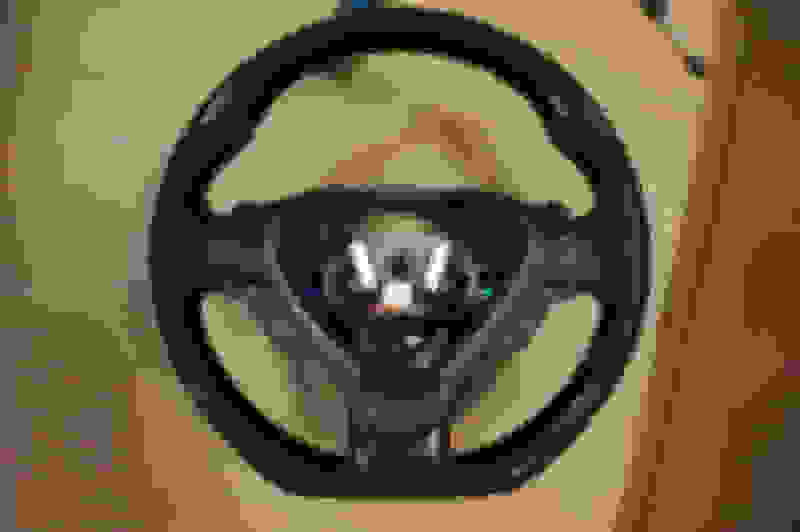 Were either of those 4th gen wheels made with an sh-awd steering wheel or just a base wheel? I'm interested but only if I'm upgrading to a thicker wheel over my sh-awd one. 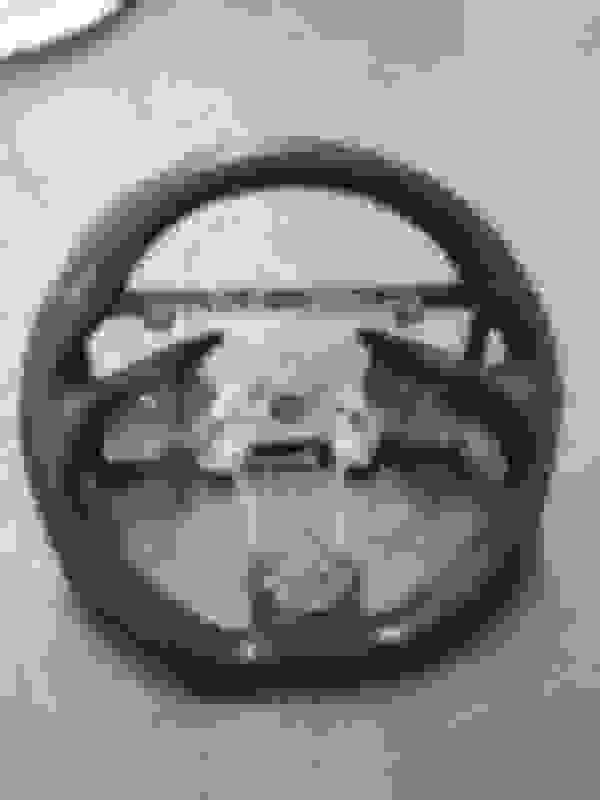 Sh-awd models came with thicker steering wheels than the base models. Thanks, looks good. You can do pretty much any color suede? I ended up buying a flat bottom for my 4G, the wheel is stunning and looks OEM. Very nice! I'm tempted to get one as well, but cant justify the cost considering all the other mods I got going on. I know its a tsx but that's what it would look like in a TL, installed. We have a few of them in stock! Last edited by AckTL05; 06-10-2017 at 11:37 AM. 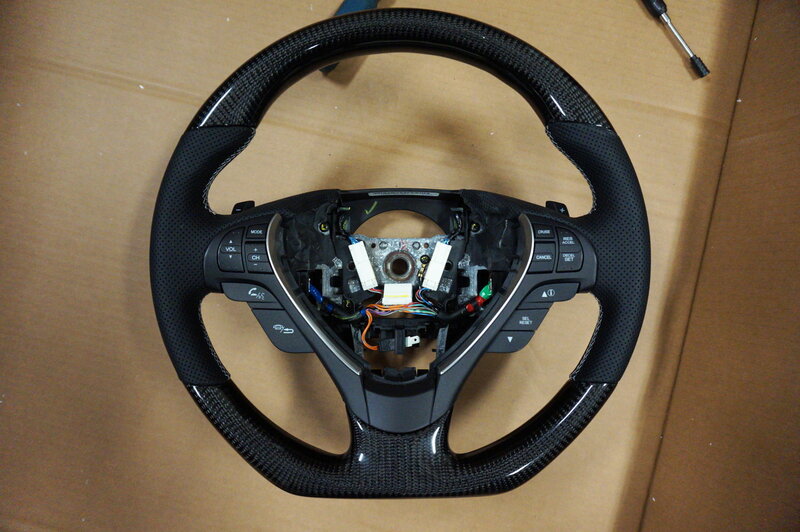 Custom wheel done for a customer - some in stock / we have cores and more, just ask. Yes we can customize any wheel! I just want to make sure I am reading correctly on the website. It is $550 plus my stock steering wheel? Yes, It starts at 550+ shipping and stock wheel ( your wheel ). Flat bottom, suede, stripe, flat top are a bit extra.